Brightness is the defining attribute of the moon. Being intimately associated with the earth, the moon acts as the reflector of sunlight, having a glow and effulgence that pervades the nighttime sky. One cannot separate the brightness from the moon. In the same way, Sita Devi’s defining attribute was her devotion to dharma. Dharma means occupational duty, or religiosity. We usually associate religion with faith and ritualistic practices, when in actuality, dharma is the occupation of the living entity, something inherited from birth. It stems from the Vedas, the original scripture for all of mankind. Dharma also has many rules and laws associated with it, but its aim is to bring one closer to God. Sita Devi was an incarnation of Shri Lakshmi, the goddess of fortune. Lakshmi is the eternal consort of Lord Narayana, one of God’s forms in the spiritual sky. As Sita Devi, she performed the same functions by acting as Lord Rama’s wife. Lord Rama was God Himself who came to earth in human form to reinstitute the principles of dharma. Sita was very much dedicated to dharma from her very youth, being well acquainted with all the rules of propriety. Though well acquainted with dharma, she actually transcended all rules and regulations by acting as a perfect wife to her husband. Serving God in a loving way is the real definition of dharma. Since she is God’s wife and eternal servitor, all of Sita Devi’s actions are automatically virtuous. In the above referenced quote, Sita Devi is responding to words of advice given to her by Lord Rama’s mother, Kausalya. At the time, the couple were about to embark on a fourteen year tour of the forest, where they would live as exiles from the kingdom of Ayodhya. Rama was the eldest son of the king, Maharaja Dashratha, but due to extenuating circumstances, He was ordered to leave the kingdom and not come back for fourteen years. Sita, acting as the perfect wife, refused to allow her husband to roam the forest alone. As they were about to leave, Kausalya reminded Sita to always remain by Rama’s side and to always serve Him, for that is the dharma of a wife. In the Vedic system, a husband and wife are not to lead separate lives. The marriage is a fifty-fifty relationship, but not in the modern day sense. The wife and husband each have their own duties relating to the marriage. If they both execute those duties properly, they both share the religious merit that is earned. The duty of the wife is to view her husband as her deity. She should worship and honor him, and serve him to the best of her ability. If the husband is happy, the couple will have a peaceful family life, whereby they can follow religious observances together. That is the real benefit to having a spouse. A spouse is our life partner that helps us in performing our religious activities. Vedic life revolves around the practice of tapasya, or austerities, which are very difficult to perform alone. A spouse can act as a coach or advisor that ensures we are performing our austerities properly. Tapasya, properly executed, leads us closer to God since it reduces our attachment to material sense gratification. By spending time thinking about God and offering Him prayers, we fulfill the real mission of our life. Sita Devi, after hearing Kausalya’s words, begged her mother-in-law not to include her amongst the irreligious. Unrighteous persons are those who live on the principles of adharma. Dharma is the code of conduct prescribed by the Vedas, and any act or belief that is contrary to this code is considered adharma. Sita was a perfect devotee, which means she was without pride. However, she was cent percent committed to her husband and to dharma, so she never wanted to be thought of as being irreligious even for a second. In the Ramacharitamanasa, there is a great description of the qualities of a devotee given by Maharishi Valmiki when he was visited by Sita, Rama, and Lakshmana, while they were roaming the forest. Valmiki instructed Sita, Rama, and Lakshmana to live in the hearts of those who are known for their adherence to dharma. People are known for their different outstanding qualities. Someone may be known to be a great speaker, or a great athlete, or an excellent writer. These are all very nice, but a devotee wants only to be known as a devotee and nothing else. This is their defining quality. They don’t seek fame and fortune for themselves. They only want to be known as devotees of the Lord; servant of the servant of God. 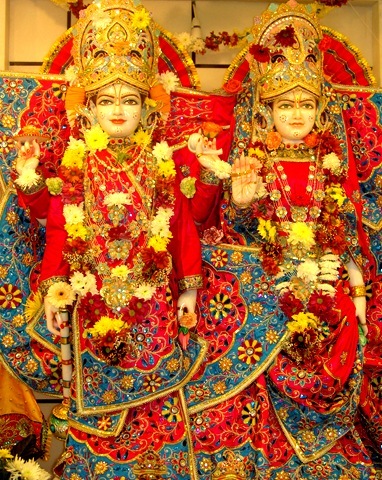 They want to be known for their adherence to dharma and for their devotion to Krishna. Goswami Tulsidas is a great example in this respect. An incarnation of Valmiki who appeared in India some four hundred years ago, Tulsidas wrote wonderful poetry praising Lord Rama and others during his lifetime, with his most famous works being the Ramacharitamanasa and Hanuman Chalisa. However, to this day, very little is known about his life. This can be attributed to several factors, but the real reason is because Tulsidas himself did not covet any fame. He was a very humble man, who used poetry as a means of expressing his love for Lord Rama. 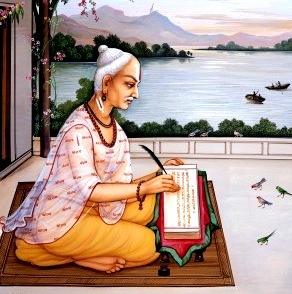 Since he was a pure devotee, his writing came out very nice and became very popular at the same time. 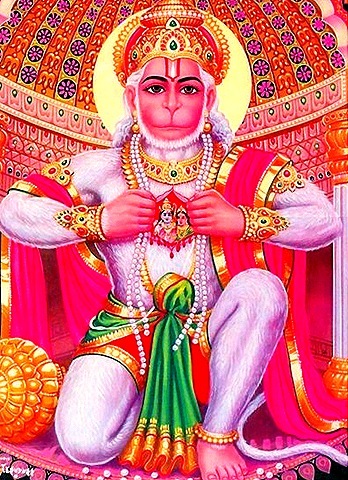 To this day, the Hanuman Chalisa is recited daily by millions in India. His Ramacharitamansa is a staple in the home of every Hindu. He only wished to be known as a devotee of Lord Rama, and God obliged. 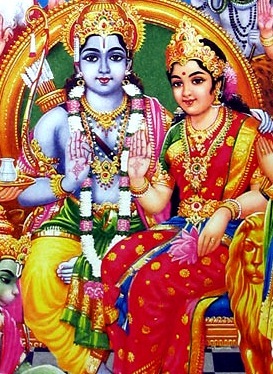 In the same way, Sita only wanted to be known for her devotion to the Lord. As Lord Rama’s wife, she had no desire for earthly riches or jewel studded crowns. As the wife of the eldest son of the king, she was in line to enjoy the pleasures of royal life to the fullest. Yet she renounced all of that at the drop of a hat. The forest is not considered a suitable place for a person to live, let alone for a beautiful and delicate woman such as Sita. Yet she had no qualms about going, for she insisted on following Rama. She only thought of Rama and His happiness wherever she went. For this reason she is loved and adored by millions today. No one can ever put her on the same footing as an unrighteous person. On the contrary, she is the very definition of righteousness.